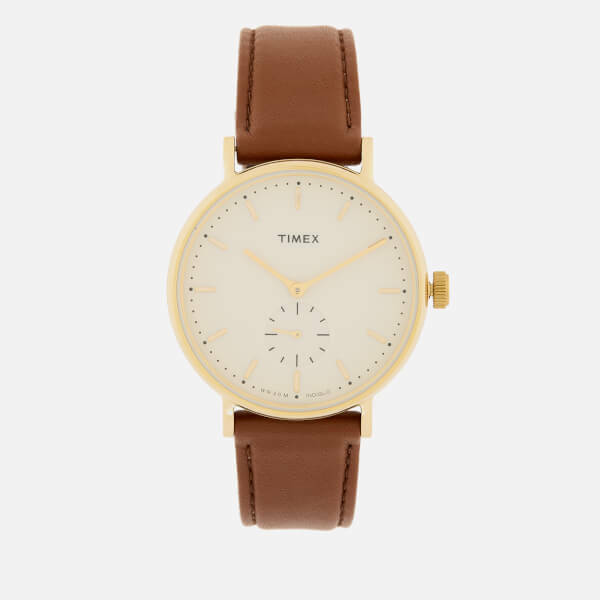 Timex ‘Fairfield’ chronograph watch with a minimalist Bauhaus-inspired design. 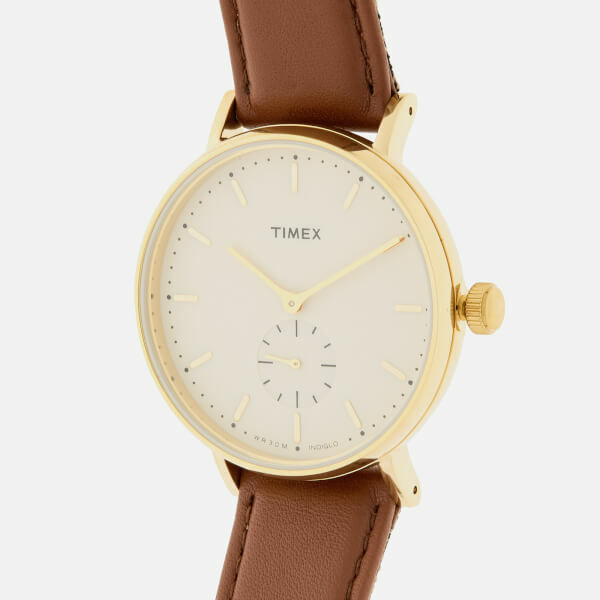 The modern 41mm watch has a gold-tone case, a cream face with a sub-second chronograph and a brown leather strap with a plaid lining. 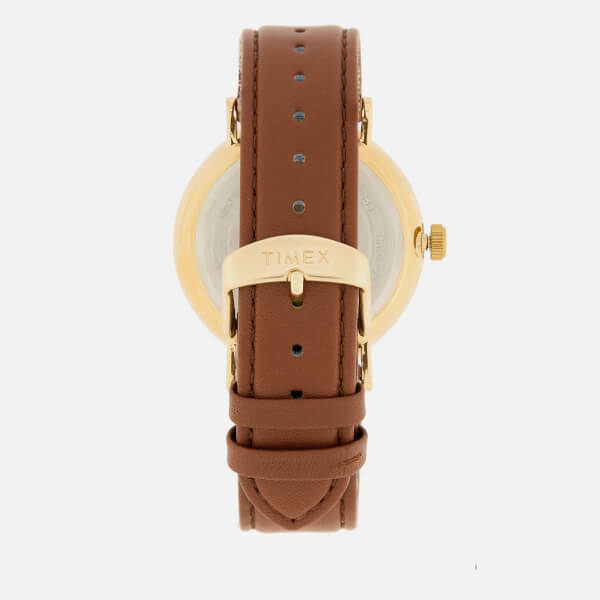 The wristwatch has Arabic hour markers, contrasting silver-tone hands and a Timex logo to the centre. 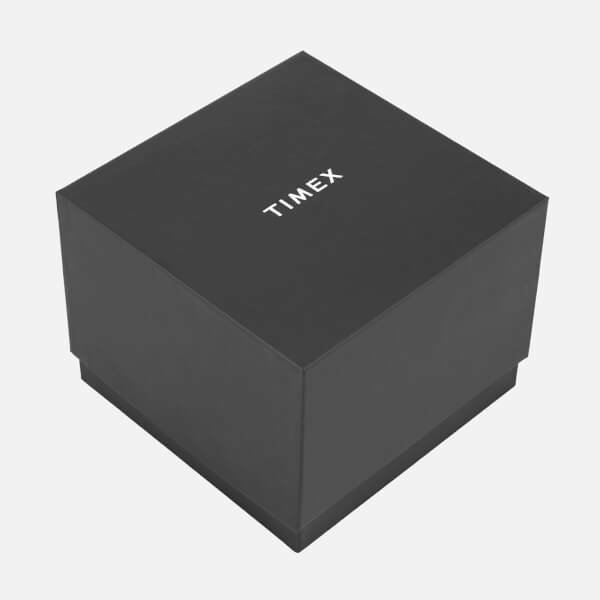 Water-resistant to 30 metres, the watch is illuminated by an INDIGLO™ Night-Light for reading the time in low light and presented in a branded gift box.